Do you have “angel halo” on your hair? “Angel halo” means beautiful hair sheen. Because it looks bright ring, it’s called like that in Japan. To get this “angel halo”, Japanese have used camellia oil for their hair since 8th century. The special thing about the oil is that it is high-hydrating compare to other oil, and the texture is smooth. Camellia oil for heir was kind like a grand mothers’ beauty tip a decade ago; however, the effect of camellia oil on hair got attention of young generations again in recent years. 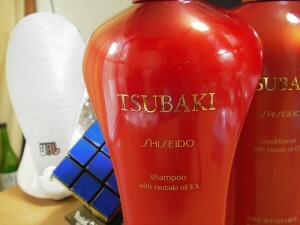 SHISEIDO released hair products featured camellia oil in 2006, and it has been very popular since then. 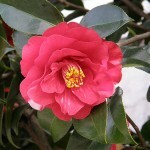 It’s called “TSUBAKI”, which means camellia.